At the beginning of corn season, chomping the kernels straight off the cob is really the only acceptable way to go. Few summer joys come close to nibbling on those succulent kernels, slicked with lots of butter and just a sprinkle of salt, and feeling them pop in my mouth. But eventually, inevitably, after several sacrosanct weeks of corn on the cob, I start to crave something a little different. And that’s when I break out my blender. 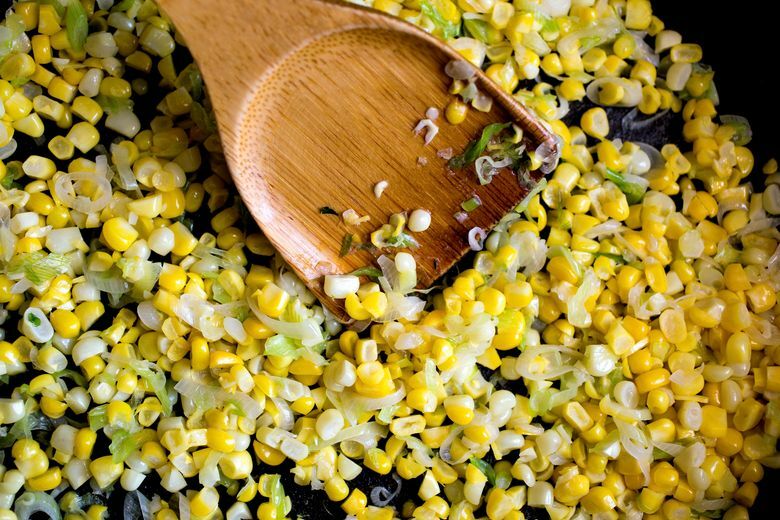 Blending corn kernels not only gives you a sweet and smooth purée to use in soups, fritters and cornbread, but it also brings out the kernel’s starchier nature. And this can be a good thing, especially when it comes to making a sweet summery sauce for pasta. In this recipe, the starch in the blended corn becomes the binder for a luscious, silky purée that coats the pasta as if it were made of thickened cream. 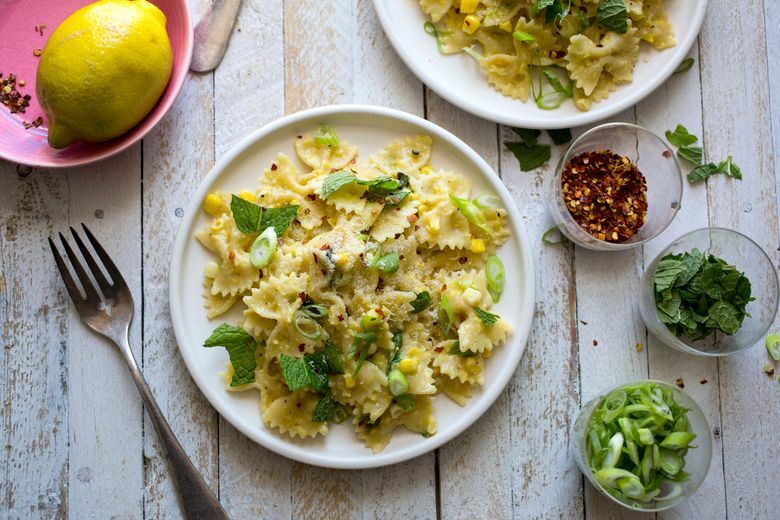 But instead of dairy, the flavor here is pure summer corn, intensified by some whole corn kernels that have been sautéed in brown butter for texture, along with scallions for depth and red chili flakes for a snap of heat. The dish is finished with fresh soft green herbs — basil or mint — and a squeeze of lemon juice for brightness. A handful of grated Parmesan lends salt and funk. The key here is getting the texture of the sauce just right. If it’s too thin, it won’t cling to the pasta. If it’s too thick, it winds up gloopy and sticky. Usually, it ends up too thick, a result of all that starch. That’s why saving some of the pasta cooking water is essential. Adding a tablespoon or two will thin down the sauce nicely. And bear in mind that the corn sauce will continue to thicken as it sits on the pasta. So if there’s any lag time between the cooking and the serving, keep some pasta water handy to splash in at the last minute. 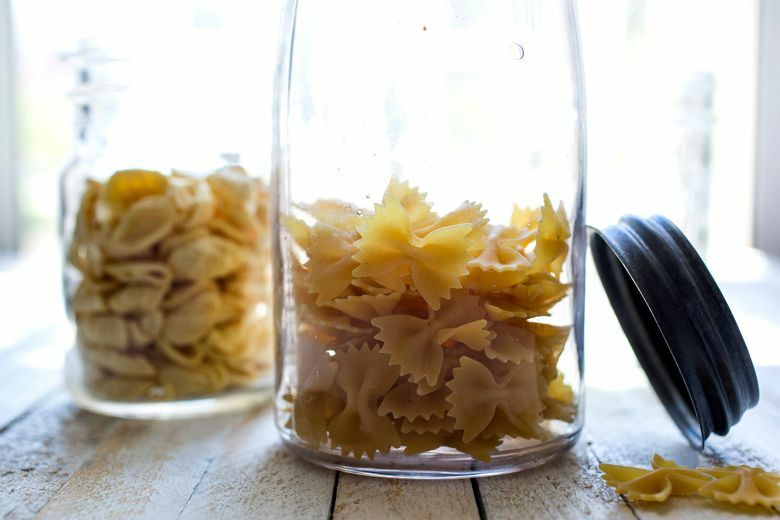 You can use any short pasta shape, but I particularly like orecchiette and farfalle, which have cuplike crevices that capture the corn kernels and herbs. And although you may not want to think about this right now in the middle of corn season, this recipe is also delightful made with out-of-season corn from the supermarket. Which means that, even in November, you can have a taste of summer. 1. Bring a large pot of well-salted water to a boil. Cook pasta until one minute shy of al dente, according to the package directions. Drain, reserving ½ cup of pasta water. 2. Meanwhile, heat oil in large sauté pan over medium heat; add scallion whites and a pinch of salt and cook until soft, three minutes. Add ¼ cup water and all but ¼ cup corn; simmer until corn is heated through and almost tender, three to five minutes. Add ¼ teaspoon salt and ¼ teaspoon pepper, transfer to a blender, and purée mixture until smooth, adding a little extra water if needed to get a thick but pourable texture. 3. Heat the same skillet over high heat. Add butter and let melt. Add reserved ¼ cup corn and cook until tender, one to two minutes. (It’s OK if the butter browns; that deepens the flavor.) Add the corn purée and cook for 30 seconds to heat and combine the flavors. 4. Reduce heat to medium. Add pasta and half the reserved pasta cooking water, tossing to coat. Cook for one minute, then add a little more of the pasta cooking water if the mixture seems too thick. Stir in ¼ cup of the scallion greens, the Parmesan, the herbs, the red pepper flakes, ¼ teaspoon salt and ¼ teaspoon pepper. Sprinkle with fresh lemon juice to taste. Transfer to warm pasta bowls and garnish with more scallions, herbs, a drizzle of olive oil and black pepper.